Litter Free Lunch Bag Kits are perfect for anyone that eats lunch!! Oh wait, that is everyone pretty much. These kits are perfect for kids to take to school, business men and women to take to work, college kids to take to their job or class. These are absolutely wonderful and compact enough for everyone. The insulated shell is great for both warm and cool food. We used it in the summer more and it was great to keep our sandwiches cold on our trips to the park to play. My 6 year old claimed this as his lunch kit from the start. The 4 BpA free containers work great for storing your lunch items without leaking or being squished. It also includes a 15 oz BpA free water bottle. All of this fits nice and neat into the beautifully zippered bag. Maverick is styling as we head out for our day at the park. Everything he needs packed in his Litter Free Lunch Kit. No need for throwing away ziplock bags or brown paper sacks. We are doing our part to keep our park litter free! 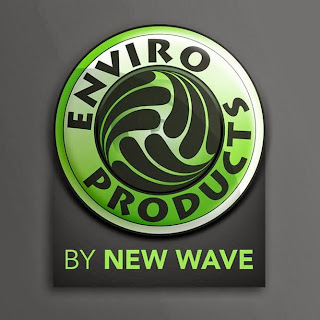 New Wave Enviro also sells water filters, BpA free water bottles, and stainless steel water bottles and food containers. Consider making a few changes this coming New Year, switch to Litter Free Lunch and help preserve our land!